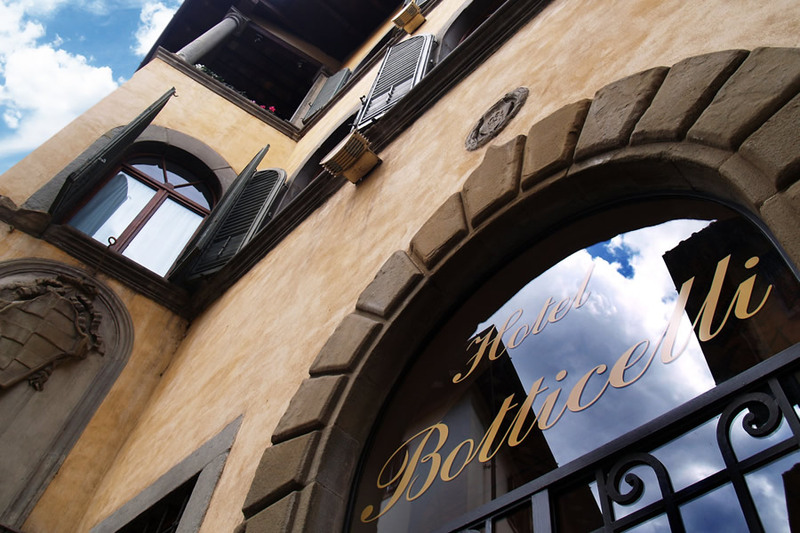 Our Hotel is situated in a delightful 16th century building, a small Renaissance gem located in the historic center of Florence. This fine and popular three-star hotel is strategically located within a few minutes walking distance from all the most important monuments including the Duomo, the Medici Chapels, the Uffizi Gallery, the Galleria dell'Accademia and the most famous shopping streets. Charm and elegance are everywhere: the rooms are elegantly refined in every detail; the public spaces are decorated with splendid frescoes; and the classic "Florentine loggia" has a pure Renaissance style. Enclosed within the hotel, the delightful central alley which once separated the two original buildings that today make up the structure makes the setting even more distinctive. At the guests' disposal there is also a spacious, bright hall, with traditional ribbed vaults, where an inviting and substantial breakfast buffet can be enjoyed. All this makes the Hotel the ideal location, which in addition to the fascination of the Renaissance palace, brings first class comfort and courteous, pleasant, professional service to your unforgettable stay. The construction of the "Palazzetto Serragli" in which the Hotel is located dates back to the second half of the 16th Century as can be seen from ancient plans of Florence from various historical periods. The building, which is recognized by the Supervision of Architectural Heritage since 1935, has several major elements: the ribbed vaults on the ground floor, the internal "kneeling" window with shelves made of stone and iron grating and the characteristic loggia on the second floor. The vaults of the entrance are painted (probably at a later period) with floral and cherub motifs. On the front facade stands a coat of arms belonging to the Serragli family. The Palace Hotel opened in 1890 when the owner at the time asked the City of Florence for a license to open an inn with a stable. Little more than a century later (we are now in 1995-1997), the hotel underwent a complete restoration under the constant supervision of the Superintendence of Architectural Heritage, which made it a hotel with an excellent standard of comfort. An interesting curiosity is given by an inner space overlooked by the beautiful "kneeling" window, which was mentioned in the architectural notes and which previously opened to the outside. In this space during the last restoration a "road" was re-created in the old Florence style that we thought about calling Via Alessandro Filipepi (real name of the great Botticelli) because of a road plaque in the "old Florence" style that has been a subject of curiosity and comments from our guests. 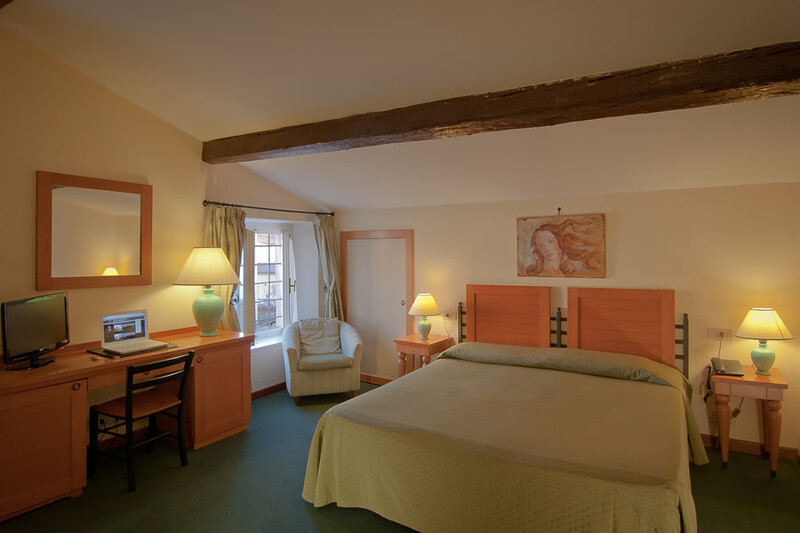 Charming and decorated in warm shades of color, with superior finishes, single rooms are relaxing and pleasant, and being equipped with all the modern comforts, they make guests feel completely at ease. 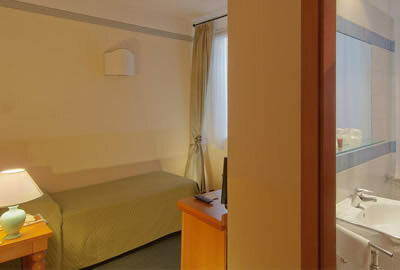 These rooms feature a single bed with air conditioning, satellite TV, mini bar, safe, hairdryer and direct dial telephone. Smoking rooms on request. With either a double bed or two single beds, double rooms are decorated mainly in warm colors and classic furniture conducive to relaxation and, thanks to all the modern comforts, they make guests feel completely at ease. 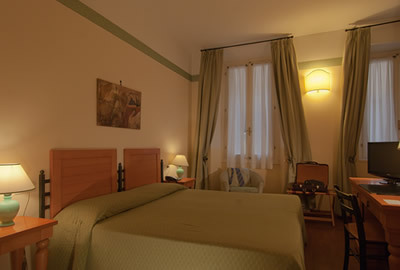 Equipped with air conditioning, satellite TV, mini bar, safe, hairdryer and direct dial telephone, some of these rooms offer views of characteristic sights of Florence. Smoking rooms on request. 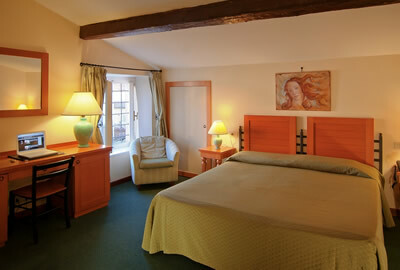 Beautiful and elegant rooms where the furnishings and colors combine perfectly with the structure of the hotel. Bright and spacious, they welcome guests to total comfort and relaxation and offer views of characteristic sights of Florence. Available with double bed or two twin beds, they are equipped with air conditioning, satellite TV, mini bar, safe, hairdryer and direct dial telephone. Smoking rooms on request. In triple rooms, the warm tones of the furnishings and accessories create an aura of familiarity, making it pleasant to spend relaxing moments, thanks to modern amenities that make guests feel completely at ease. Some of these rooms offer the possibility of views on characteristic sights and streets. Available with double bed –or two twin beds - plus one extra bed, these rooms have air conditioning, satellite TV, mini bar, safe, hairdryer and direct dial telephone. Smoking rooms on request. Florence was a centre of medieval European trade and finance and one of the wealthiest cities of that era. It is considered the birthplace of the Renaissance, and has been called "the Athens of the Middle Ages. A turbulent political history includes periods of rule by the powerful Medici family and numerous religious and republican revolutions. From 1865 to 1871 the city was the capital of the recently established Kingdom of Italy. The Florentine dialect forms the base of Standard Italian and it became the language of culture throughout Italy due to the prestige of the masterpieces by Dante Alighieri, Petrarch, Giovanni Boccaccio, Niccolo Machiavelli and Francesco Guicciadini. The city attracts millions of tourists each year, and the Historic Centre of Florence was declared a World Heritage Site by UNESCO in 1982. The city is noted for its culture, Renaissance art and architecture and monuments. The city also contains numerous museums and art galleries, such as the Uffizi Gallery and the Palazzo Pitti, and still exerts an influence in the fields of art, culture and politics. Due to Florence's artistic and architectural heritage, it has been ranked by Forbes as one of the most beautiful cities in the world. Florence is an important city in Italian fashion being ranked in the top 15 fashion capitals of the world; furthermore, it is a major national economic centre, as well as a tourist and industrial hub. In 2008, the city had the 17th highest average income in Italy. Very charming and comfortable, all 34 rooms are finished with indisputable good taste and great to detail. 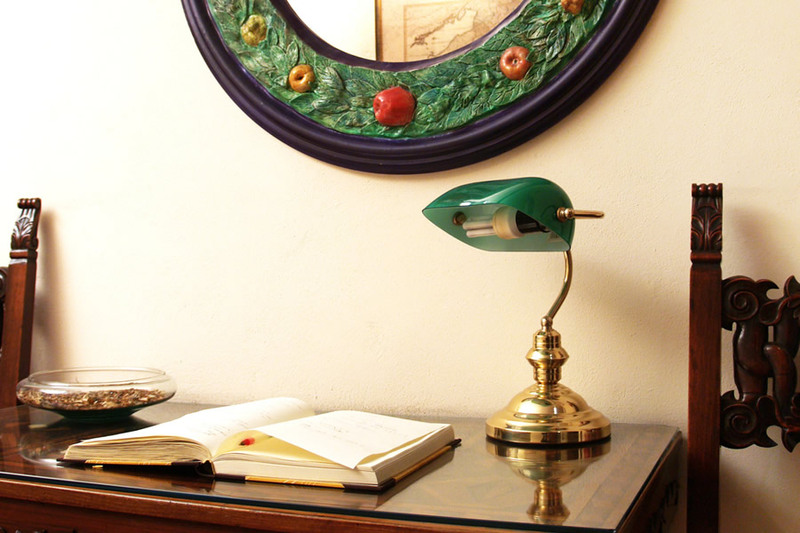 Furnished in refined Tuscan style, with predominance of light, delicate colours, the rooms are equipped with every modern comfort; in addition, many of them offer views on characteristic sights of Florence. 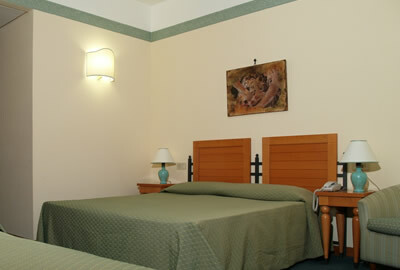 Each room counts with air-conditioning, satellite TV, mini bar, safe, hairdryer and direct dial telephone.